Date: Apr 18 2019, 6 p.m. - 8 p.m.
Come out with your best buddy! There'll be toys, treats and eats for your furry friends to enjoy! Dress up in your Bunny outfits! 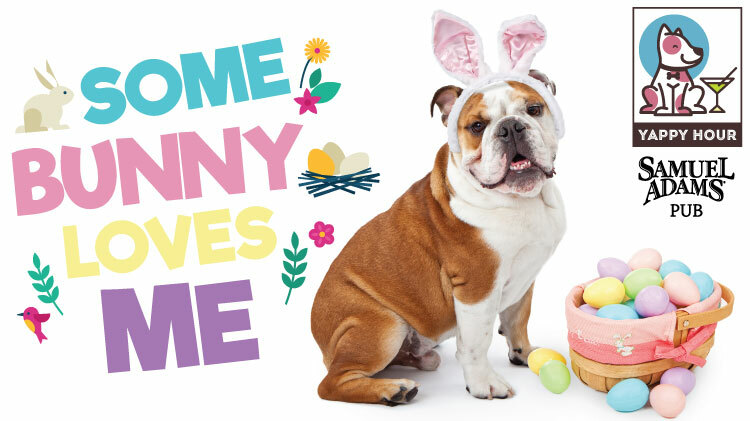 The first 20 participants to arrive will receive an egg for a chance to win doggie prizes!! We are not forgetting about our pet parents, we have Happy Hour specials throughout the night! Come out for the fun games and prizes or just for the food and drink specials, whatever your choice, it'll be a fun night to remember for the month of April!